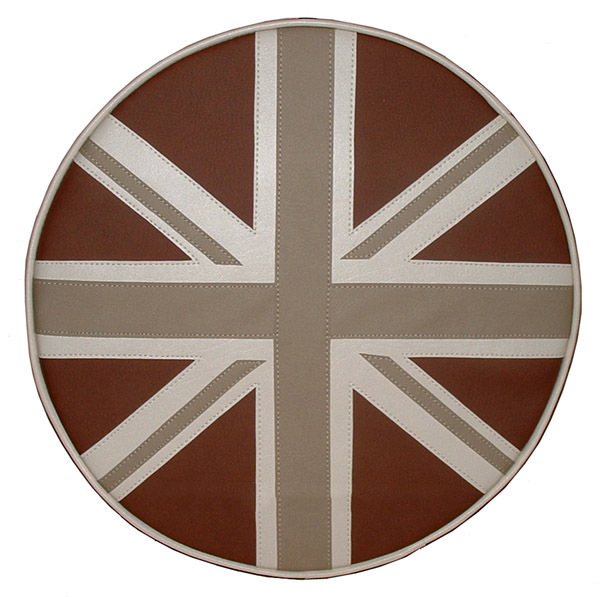 Our stunning earthtone Union Jack tire cover is a luxurious solution to your spare tire, and will fit any 10 inch scooter wheel. 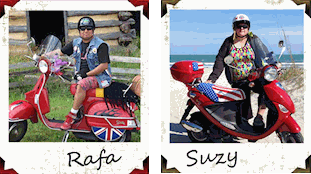 This tire cover is made from our premium line of matte faux leathers, it is not only waterproof, and UV rated for r years of serious use, but it has the soft hand of calves leather. This is a fully sewn tire cover, not printed. The sides of this wheel cover are black, and it is finished with cream piping/welt.